Easy to use and dispose of but can be fiddley to fill. Allows you to use your favourite loose leaf tea 'on the go'. Each Filter holds enough tea for 1 large mug or a 1-2 cup teapot. Extremely useful for any loose leaf tea but really comes into it's own when serving Green, White or Oolong Tea. 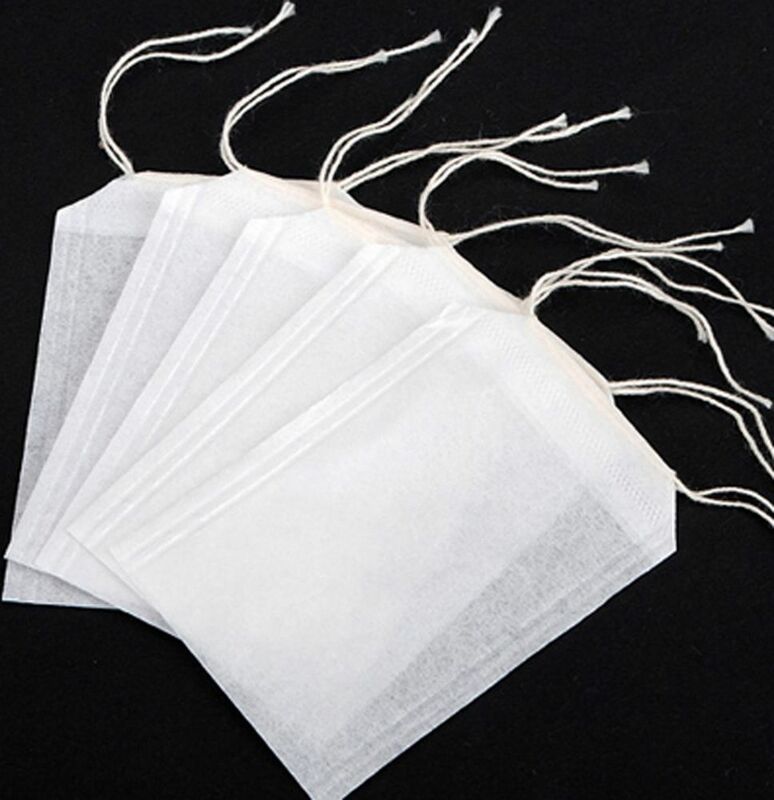 These tea's can all be re-infused 3 to 4 times each so remove the filter when your drink is ready, place on a saucer or spoon rest and your leaves are there ready to infuse again and again with little fuss or effort. Can also be used in a 1 or 2 cup jug or teapot. For added convenience you have string through these bags, pull tight when full. Especially useful when going away as you can make up several bags at once and keep them in a polythene bag until needed.